Seizure Tracker is the largest collection of patient entered seizure event and treatment information in the world. We realize the data collected through the tools available to our user base could have a great impact on the understanding of seizures and epilepsy. 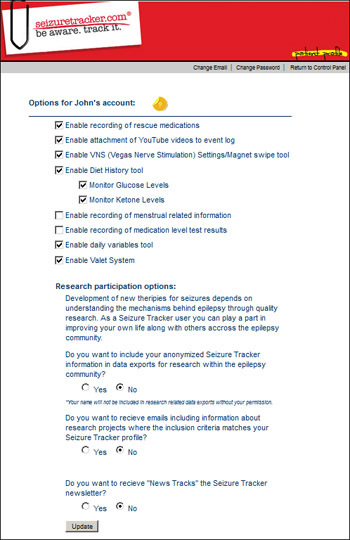 We have built a system that will allow us to share de-identified data from the Seizure Tracker platform with key researchers within the epilepsy community. All data share through the general data export system will be anonymous. Other tools on Seizure Tracker do export data including identifying information but can only be done through direct user consent. You also have the option to receive or opt out of emails promoting research that has inclusion criteria matching your Seizure Tracker profile. 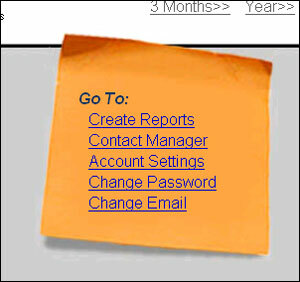 The opt-out tool is available through the Control Panel page by clinking the "Account Settings" link in the lower right corner. • Log into your Seizure Tracker. • Navigate to the Account Settings page. • Select the "Research Participation Options" associated with your account. • Click the update button. Please contact us at info@SeizureTracker.com if you have any questions about the Seizure Tracker research initiatives.